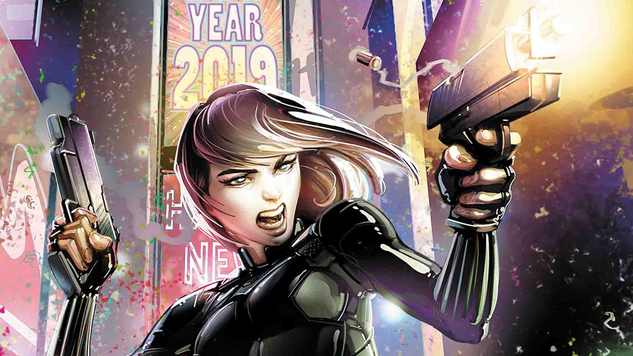 If you read our Most Anticipated Comics of 2019 lists—and you should, both of them you know Marvel Comics is hitting the beginning of the year hard. This week alone sees the release of new Black Widow and Invaders series, as well as a Marvel Comics Presents anthology revival and an oversized Star Wars special. Not to be outdone…well, actually, Marvel has every other publisher beat on sheer volume this week, but that’s not to say there aren’t other notable releases hitting stands. Avatar: Tsu’tey’s Path expands the world of James Cameron’s mega-franchise, Shredder in Hell spotlights a TMNT baddie and a frequent TMNT artist who’s now stepping up to the writing plate as well and BOOM! Studios snags a splendid new writer for its Adventure Time comics. All of this and more await in this week’s Required Reading.